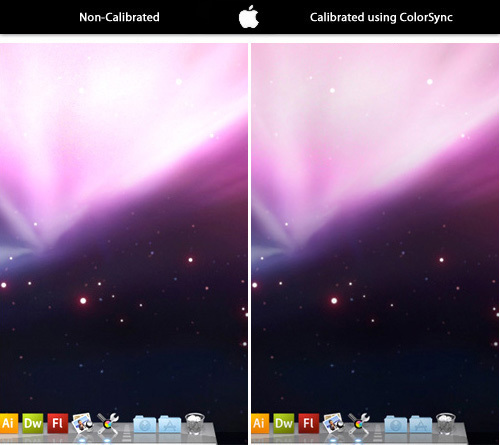 ColorSync Calibration | Shelby White - The blog of artist, visual designer and entrepreneur Shelby White. ColorSync is a great thing to have built into an OS. The first time that I ever tried to calibrate my monitors using this App, I failed miserably and had to borrow an Eye-One system from Dave. I definitely succeeded this time around and have a few charts to show the difference. 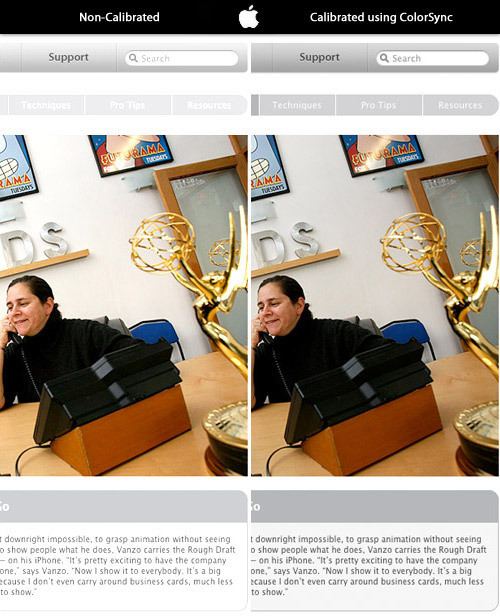 Take note that there is a large difference in brightness/contrast of objects on white backgrounds. The monitor had a tendency to over comphensate the brightness and would result in blow outs. I noticed this largely when opening Safari or Firefox. Part of the reason that these monitors were largely off calibre was because of my recent reformat of the Mac Pro Quad workstation. Things had been running a little slow and the main drive was getting congested. There is bound to be a full network format here in the next week as well as the addition of a Time Capsule. It never hurts to make sure all machines are up-to-date and running full speed. 1. Make sure you sit back at least 2.5-3 feet from your monitor (depending on how large it is). 2. Set your Brightness control to 100%. 3. It won’t be a perfect calibration. I’d still recommend getting a Calibration device such as EyeOne. EyeOne can be purchased online at X-Rite.